I have a picture from inside the studio in 1945. My dad and some other guys playing music live on the air in front of the microphone. I think the date reads 1-25-45. The band was called the Pacific Ramblers. The man on the far left was my dad, William Lee Halleron. I still have that guitar. I don't know the other names. There is even a woman hiding behind one of the men, I see her dress. 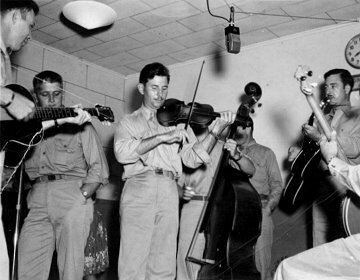 Dale has also donated rare recordings of three shows performed by the Pacific Ramblers on KTOH in 1945. The attached music was recorded live on KTOH on March 22, 1945. I still have the original 16" discs, although they are deteriorating. There are a few skips and scratches as can be expected. I converted them to CD format around 2005. 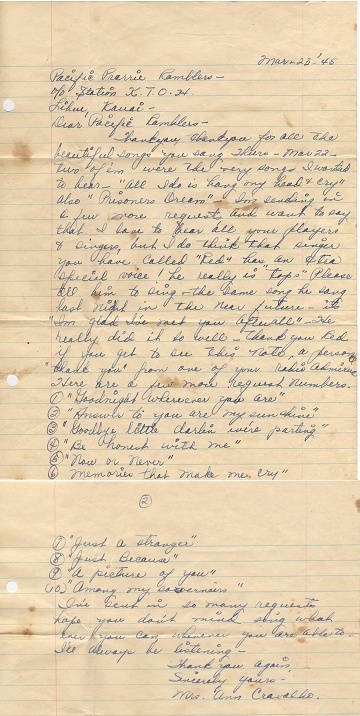 The shows were popular with listeners as this request letter shows. 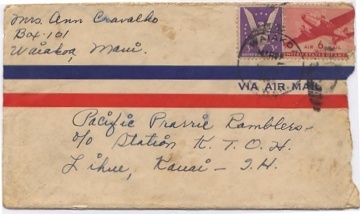 A copy of a fan letter written about this very broadcast. She mentions "Red" who is my dad William Halleron. I tried to find her to give her a copy of her letter, but it seems she has passed away. 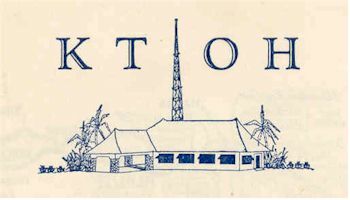 Explore more Hawaiian radio history in our features Blue Hawaii Radio 1961 and Art of Radio Hawaii ©.